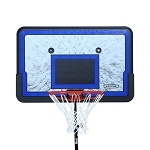 This post is to announce our basketball hoop buying guide that will be presented over several blog posts for the purpose of helping you decide on the best product solution for your basketball system needs. These articles will go through every detail we can think of that will affect your buying decision. 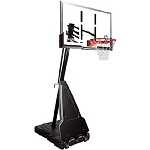 We will discuss manufacturers of basketball systems, backboard size, backboard material, in ground vs. portable, wall-mounted systems, warranties, shipping, assembly, etc. Come back and visit us soon for our first buying guide articles. Our basketball articles will help you choose the very best system for you and your family. Enjoy your new basketball System!